Herbert's success with Under Pressure was only a shadow of what was to come with his second novel, Dune. Winner of both the Hugo and Nebula awards, it is considered by many to be the greatest work of science fiction ever written. It began with a concept: to do a long novel about the messianic convulsions which periodically inflict themselves on human societies. I had this idea that superheros were disastrous for humans. This concern with the dangers of hero worship is already evident in Under Pressure. Ramsey's rejection of the paternalism of psychology and his analysis of the subtug crew's dependency on their captain anticipates features of Dune's portrayal of the human love affair with messiahs and supermen. Nonetheless it was no easy jump from the tight little world of the Fenian Ram to the parched wastes of Arrakis. It took eight years for Herbert's insights to gain mass and momentum and to become focused in a single story. His methodical newspaper research habits carried over to his fiction. He created a file folder on the idea, and accumulated notes on possible scenes and characters to go along with it. For years he researched the origins and history of religions, trying to understand the psychology by which individuals submit themselves to the juggernaut of a messianic myth. He continued to study psychoanalysis and philosophy, and added history, linguistics, economics and politics, trying to grasp the whole pattern. The initial concept had several incarnations before he finally settled on the story that was to become Dune. I had far too much for an article and far too much for a short story. So I didn't know really what I had—but I had an enormous amount of data and avenues shooting off at all angles to get more… I finally saw that I had something enormously interesting going for me about the ecology of deserts, and it was, for a science-fiction writer anyway, an easy step from that to think: What if I had an entire planet that was desert? Science fiction was the key. It was a medium Herbert had chosen for the elbow room it gives. A writer of conventional fiction, unless he is extremely inventive, starts with innumerable givens. His plot must wend its way through them like a road through the contours of a mountain pass. But a science-fiction writer, if he really uses his medium, need take nothing for granted. He is not creating a road but an entire world—mountains, pass, and all. The problems of sand dune control and desert life that so fascinated Herbert could be explored in fullness. He imagined an entire planet that had been taken over by sand dunes, and an ecologist faced with the task of reclaiming it. There too the project begins with grass planted on the slipface of the dunes. Then gradually other life is introduced in an attempt to start a self-sustaining cycle. Such literal extrapolation from the Oregon dune project was only the beginning, however. An important ecological principle cited by Herbert states that "growth is limited by that necessity which is present in the least amount." In Arrakis, Herbert "set a planet where water is not available to the extent that it becomes the controlling element" for this "law of the minimum." Somewhere on the planet, though, there must be water. It can be only hidden, not completely absent, if the transformation is to be possible. Imagination again gave the answer: the aridity of the planet is the result of an evolutionary transformation brought about by Arrakis's own life forms. An immature stage of a great predator, the sandworm, traps water and establishes the barren conditions required by its mature stage. The foreign plants introduced to control the dunes must also be poisonous to these "water stealers" if the plants are to free up moisture for an effective long-term change. However, the sandworms are the planet's chief source of oxygen, so they must be treated with care. "A medium worm (about 200 meters long) discharged as much oxygen into the air as ten-kilometers of green-growing photosynthesis surface," notes the planetologist in Dune. To complicate the situation even further, the desert is the source of the precious spice, melange, the most valuable commodity in the Empire, found only on Arrakis. Although this fact is unknown to outsiders, melange too is a byproduct of the sandworm life cycle. Herbert invented this spice through a natural branching of ideas: for people to live in a really extreme environment (apart from a few scattered groups on the subsistence level), there must be something to attract them, something so valuable that they seek out the locale despite its hostility. This insight was a product of his study (begun in Under Pressure) of the psychology of dangerously extreme environments, where human beings cannot control their circumstances but are forced to adapt to them. The spice added further dimensions to the ecological problem. Water is poisonous to sandworms, and so water and melange are mutually exclusive riches on Arrakis. The desert cannot be treated simply as an obstacle or an evil to be converted to man's use. It is the planet's greatest resource—one with which men tamper at their peril. There must be a common evolution of the Arrakeen and terraform ecosystems, so that the two may be integrated rather than set at odds. The delicacy of the ecological transformation is multiplied a thousandfold. One begins to see, as the ecologist in Dune says, that "you cannot draw neat lines around planet-wide problems." Ecology deals not with isolated effects, but with systems. The whole pattern must work, or eventually none of it will. Even ecological technology, indiscriminately applied, can fall prey to short-term, simplistic thinking when one element, such as water, is taken out of context and made all-important. It's basically a micro-sandwich—a high efficiency filter and heat-exchange system… The skin-contact layer's porous. Perspiration passes through it, having cooled the body… Reclaimed water circulates to catchpockets from which you draw it through this tube in the clip at your neck. For the Fremen character, Herbert relied heavily on the Indians of the American Southwest and the nomads of North Africa and the Arabian peninsula. Like the Apache, the Fremen are among the finest guerrilla warriors ever known. They have been driven into inhospitable regions by foreign enemies with superior numbers and armament. But their superb knowledge of their environment makes them virtually unbeatable on that ground. They are masters of those weapons that nature has given them—they have fierce endurance, physical strength, bravery, and a kind of earth-wisdom. And like the Navajo and other Indians of the Southwest, their native religion involves a psychedelic sacrament. Still more obvious in the Fremen character are the Arabic roots. Fanatically loyal to brethren but with little respect for the lives of those outside the clan, nomadic, warlike, respectful of troubadours and mystics, the Fremen are close kin to the seventh-century Bedouin. The overt trappings of their culture—language, clothing, and customs—are Arabic in detail. Even the drug use of the Fremen reflects an Arabic (as well as Indian) source, in the twelfth-century Hashishins. If you want to give the reader the solid impression that he is not here and now, but that something of here and now has been carried to that faraway place and time, what better way to say to our culture that this is so than to give him the language of that place.. . . That oral tool—it has its own inertial forces; it's mind-shaping as well as used by mind. In short, Herbert was using the nuances of language to key his readers into their own associations with desert. Furthermore, he did not presume that Arabic history had simply repeated itself in the Fremen culture. He fictionalized a history in which many of the original elements of Near Eastern civilization have been preserved, though greatly changed through time, to flower again in a desert setting. The Fremen borrowings from the Arabic are of two kinds: those features that might be re-created by similarities of environment, such as the codes of honor, personal bravery and survival skill; and cultural information, such as language, which might actually have survived. This legitimizes the reader's use of his own knowledge to flesh out the story and allowed Herbert to mix the familiar with the strange, to powerful effect. I decided to put the two together because I don't think any story should have only one thread. I build on a layer technique, and of course putting in religion and religions ideas with ecological ideas you can play one against another. It is vital… that you never lose sight of one fact: the Fremen were a desert people whose entire ancestry was accustomed to hostile landscapes. Mysticism isn't difficult when you survive each moment by surmounting open hostility. Like the Jews, the Fremen have long been wandering and persecuted, always awaiting the promised land. And like the Arabs, the scattered Fremen discover their religious and cultural identity at the call of a strong leader, and build a mystical warrior-religion moved by economic as well as religious factors. It was noted above that Islam may be the most messianic of all religions. Islam has been rocked with continual Mahdist movements since its foundation. To name one recent example, the political imbroglio involving T. E. Lawrence had profound messianic overtones. If Lawrence had been killed at a crucial point in the struggle, Herbert notes, he might well have become a new "avatar" for the Arabs. The Lawrence analogy suggested to Herbert the possibility for manipulation of the messianic impulses within a culture by outsiders with ulterior purposes. He also realized that ecology could become the focus of just such a messianic episode, here and now, in our own culture. "It might become the new banner for a deadly crusade—an excuse for a witch hunt or worse. Herbert pulled all these strands together in an early version of Dune. It was a story about a hero very like Lawrence of Arabia, an outsider who went native and used religious fervor to fuel his own ambitions—in this case, to transform the ecology of the planet. His plan to reclaim the desert will take hundreds of years. No one then alive will see the fruition of his plan. It is a traditional, future-oriented prophetic pattern. Somewhere along the line, Herbert saw the limits of this approach: it touched on only one of the dynamics uncovered in his research. He had a great many ideas about psychology, the manipulation of power, and the unconscious dynamics of mass movements. So straightforward a plot would be inadequate to carry everything he wanted to say. He began to layer the story. Enter Paul Atreides, the hero of Dune. He is not merely a prophet, but a here-and-now messiah with more than a visionary dream with which to inspire a following. The tale of Kynes, the ecological prophet of the earlier version, is retained as a sub-theme: he plays John the Baptist to Paul's Jesus. Paul takes over the ecological cause when he comes to Arrakis, but he has other axes to grind as well—as did Herbert. In Paul, Herbert had a vehicle to explore the many factors that go into the creation of a messianic "superhero." He also lays out in detail the structure of aristocratic leadership, the use of psychological manipulation, the birth of an irresistible legend from individually insignificant events, and an unusual psychogenetic theory of history. Dune does not begin in the desert. Its first scenes concern the political structure of the Empire. The Empire is ruled, in effect, by an "aristocratic bureaucracy" at the top of a rigid feudal caste system. It is said that there is "a place for every man, and every man in his place." Paul's father, Duke Leto, hawk-featured and imperious, is a peer of the Galactic Empire and a born leader. Leto is forced to Arrakis, the dune world, in a "change of fief" by his hereditary enemy, the Baron Vladimir Harkonnen. Arrakis is a rich planet, but dangerous, and the Baron plans to move against Leto while he is still unsure of his new ground. Harkonnen has the secret backing of the Emperor, who fears that Leto's superb cadres excel even his own crack troops, the Sardaukar. Leto is betrayed and killed soon after his arrival, and Paul is forced to flee to the desert with the Lady Jessica, his mother. This Duke was concerned more over the men than he was over the spice. He risked his own life and that of his son to save the men. He passed off the loss of a spice-crawler with a gesture. The threat to men's lives had him in a rage. A leader such as that would command fanatic loyalty. He would be difficult to defeat. Against his own will and all previous judgments, Kynes admitted to himself: I like this Duke. Still, Leto uses his men. It is always for his purposes, not their own, that they act. They are maintained—and maintain themselves—as followers, not as equals. You gain insights into the moral base upon which Paul makes his own decisions. All of this is couched in a form which makes Paul and his people admirable. I am their advocate. But don't lose sight of the fact that House Atreides acts with the same arrogance toward "common folk" as do their enemies I am showing you the superhero syndrome and your own participation in it. The arrogant are, in part, created by the meek. This then is the first layer of the superhero mystique: the hierarchical structure of leadership. Paul is trained to lead and his followers are trained to follow. At the same time as Herbert was delineating the social structure of the Empire, he was introducing another layer. 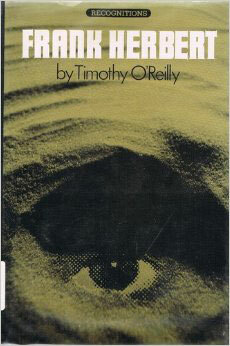 In the opening scene of the novel, while Paul is still a boy of fifteen he is tested by a mysterious old woman to see if he is human or animal. The "gom jabbar," a needle tipped with deadly poison, is held at his throat while his hand is burned, causing dreadful pain. "This is the only rule," she tells him. "Keep your hand in the box and live. Withdraw it and die." Paul must be in complete command of his animal reflexes or perish. Such is the initiation of the Bene Gesserit Sisterhood, a semisecret organization of women devoted to the devious manipulation of politics and religion. Through the Bene Gesserit, Herbert analyzes the role of the unconscious in human affairs and the potential for its manipulation by the knowledgeable and unscrupulous. Most people are only half-awake—they react to external stimuli without really knowing why they respond the way they do. By contrast, the Bene Gesserit have schooled themselves to understand and master their own unconscious reflexes. This is graphically demonstrated in the test of the gom jabbar, as well as in other fantastic feats of psychological and physiological control, which are described throughout the book. In addition, the Bene Gesserit have refined the ability to perceive and to play on the unconscious weaknesses of others. Their power to influence the course of politics depends almost entirely on this ability, applied both to individuals and to groups. Hawat started to leap from his chair. "I have not dismissed you, Thufir!" Jessica flared. The old Mentat almost fell back in his chair, so quickly did his muscles betray him… Hawat tried to swallow in a dry throat. Her command had been regal, peremptory—uttered in a tone and manner he had found completely irresistible. His body had obeyed her before he could think about it. Nothing could have prevented his response—not logic, not passionate anger… nothing. To do what she had done spoke of a sensitive, intimate knowledge of the person thus commanded, a depth of control he had not dreamed possible. "Now you know something of the real training they give us," she said. The significance of Voice is easy to miss if we get caught up in the question of whether or not such a thing is possible. Herbert is extrapolating powers of suggestion and psychological manipulation far in advance of anything in use today, but the power itself is not the main point. He is saying something about who we are as human animals. In Western civilization we have placed so much emphasis on conscious thought and rationality that we have forgotten how much of our behavior is unintentional and uncontrolled by consciousness. We make choices for reasons of the flesh and feelings, as well as of the mind. The attraction of the superhero, as Herbert sees it, is a case in point. The Fremen do not follow Paul for logical reasons, but precisely because logic is not enough for comfort in a hostile world. Unconscious needs for security and belonging play a much larger role in a messianic upheaval than the conscious content that masquerades as the cause. The Bene Gesserit know that the power to manipulate an individual, however acute, has limited effect on millions. They use legends and superstitions as the mass equivalent to the power of Voice. Their adepts have planted stories on countless planets as insurance against future need. With such a legend for background, someone trained as the Bene Gesserit are trained can easily move an entire world. When Paul first comes to Arrakis, he walks right into one of these legends. The story tells of the Lisan al-Gaib, "the voice from the outer world," which will share the dreams of the Fremen and lead them to fulfillment. Paul has a profound disquiet about playing on the legend. It grows around him nonetheless, impelled by the desire of the Fremen for the promised transformation of Arrakis into a green and fertile world, Paul does not actively try to call up the legend, but the mere fact that he has superior insight and ability sets it in motion. When Paul first wears a stillsuit, the water-conserving garment of the desert, intuition tells him how to adjust the fittings just right, while his father and the other men struggle with the unfamiliar equipment. "He could be the one!" the Fremen whisper. Then Jessica announces that the Atreides will work to bring water to the desert. The legend (which had been twisted by Kynes to include his ecological projections) is once again aroused: "It is said they will share your secret dream." Later, when Paul and Jessica have fled to the desert, they are picked up by a band of Fremen. Though strangers are usually killed for their water, the whispers have already begun to spread, and so the two are taken in. Still, there are doubters, and Paul is challenged to a deadly duel by one of them. Forced against his will to kill the man, Paul weeps for him. This is unheard of on water-starved Arrakis. "He gives moisture to the dead!" the Fremen whisper in awe. Simply by living among them, Paul gives the legend a living presence and gains power to bend the Fremen to his will. He begins to mold them into a guerilla force with which to win back his dukedom. But already they are more than that, and so is he. He is no longer Paul Atreides, but Paul Maud'Dib, Mahdi of the Fremen and will-o-wisp of the desert, while his followers have become Fedaykin, "death commandoes." The marriage of a charismatic leader and a people who long to be led has begun to bear its inevitable fruit. Paul does in fact have remarkable powers, but far more important in the end is how the Fremen respond to them. Their strong, unconscious projection makes him even more special than he is. This projection stems somewhat from the legends generated by the Bene Gesserit and the way they crystallize around Paul, but even more from Paul's followers' "wishful thinking"—their unconscious belief that someone "out there" has the answers they lack. Unable to find adequate strength of purpose in themselves, they look for a truth—a cause—and a leader to supply it. The same mutually supportive relationship of leaders and followers had been explored in the feudal setup of House Atreides. Thus far, Herbert's portrayal of the "superhero syndrome" follows recognizable paths of social and psychological analysis. He drew first of all on the traditional messianic pattern, the longing for a better future exhibited by oppressed peoples. He then showed the structure of leadership—how a society functions with built-in expectations of who will lead and who will follow—and explored the nature of charismatic myths and the possibility for manipulation of the unconsciousness in all of us. Each of these was to an extent an extrapolation from accepted understanding. But there is one other concept Herbert built his story on that is unique—his genetic theory of history. Once again, Herbert uses the Bene Gesserit and the inner powers Paul has gained from them as his vehicle. The source of the almost supernatural abilities of the Bene Gesserit is a substance they call the Truthsayer drug, which allows their Reverend Mothers to draw on profound inner knowledge and the accumulated wisdom of the past. Only women can master the inner changes brought on by the drug; it has always been death for a man. The Bene Gesserit have embarked on a centuries-long program of selective breeding to produce a man who can take the drug and live. They hope to open vast new areas to their control—the depths of active male psychology as well as the receptive female. The crippling flaw in Bene Gesserit skills is that they must be wielded indirectly. They hope that a man fully trained in their esoteric arts would be able to wield temporal power in a way that they cannot. They call their goal the Kwisatz Haderach, "the shortening of the way." It is hoped that Paul may be this figure, but he has been born a generation too soon in the plan and is consequently not completely their tool. He has his own destiny to follow. He sampled the time winds, sensing the turmoil, the storm nexus that now focused on this moment place. Even the faint gaps were closed now… Here was the race consciousness that he had known once as his own terrible purpose. Here was reason enough for a Kwisatz Haderach or a Lisan al-Gaib or even the halting schemes of the Bene Gesserit. The race of humans had felt its own dormancy, sensed itself grown stale and knew now only the need to experience turmoil in which the genes would mingle and the strong new mixtures survive. All humans were alive as an unconscious single organism in this moment, experiencing a kind of sexual heat that could override any barrier… This is the climax, Paul thought. From here, the future will open, the clouds part onto a kind of glory. And if I die here, they'll say I sacrificed myself that my spirit might lead them. And if I live, they'll say nothing can op pose Muad'Dib. Paul calls the rebellion he sees in this vision "jihad," the Arabic word for the holy war of conquest. He sees his banner at the head of fanatic legions raging through the known universe. He has been pursuing limited political aims, but he comes to see that the forces he has roused cannot easily be laid aside. He had thought to use them for his own purposes, but he eventually realizes that he is the one being used; as the survival drives of an entire race seek satisfaction in the upheaval of war. In a sense, what Herbert does in Paul's visions is to take ecological concepts to a much deeper level. Paul comes to see opposition between the aims of civilization and those of nature as represented by the human unconscious. An ecosystem is stable not because it is secure and protected, but because it contains enough diversity that certain organisms will survive despite drastic changes in the environment and other adverse conditions. Strength lies in adaptability, not fixity. Civilization, on the other hand, tries to create and maintain security, which all too frequently crystallizes into an effort to minimize diversity and stop change. The rigid structure of the Empire epitomizes this tendency. Basic survival instincts have been sublimated into the need to feel secure. Social structure, religion, messianic dreams—all the factors that go into the creation of a myth—are means by which humans reassure themselves that they are in control of their universe. Yet these very factors, taken to an extreme, necessitate the overwhelming of conscious control that occurs in the jihad. The mystique of Muad'Dib arises because the people of the Empire are out of touch with the unconscious forces that move them. Rather than bend with these forces, they resist them and are swept away. When it must, the unconscious rages up and has its way. The same point was made in the description of the Bene Gesserit power of Voice: you are controlled by that of which you are unaware and by that which you deny. In his visions, Paul comes face to face with the universe as it really is, a vastness beyond any hope of human control. Men pretend to power over their fate by creating small islands of light and order, and ignoring the great dark outside. All the men who took the Truthsayer drug died because they had been conditioned all their lives to an illusion and could not face the reality. Paul confronts the vision of infinity and learns to yield to it, to ride the currents of infinite time and not to restrain them. And then, symbolically, he leads his troops to victory on the backs of the giant sandworms, the untamable predators of the desert who may yet be ridden by those bold enough to take the risk. "They say they've fortified the graben villages to the point where you cannot harm them. They say they need only sit inside their defenses while you wear yourself out in futile attack." "In a word," Paul said, "they're immobilized." "While you can go where you will," Gurney said. "It's a tactic I learned from you," Paul said. "They've lost the initiative, which means they've lost the war." This shift from fixed defenses to personal skill and mobility is also the key to the Arrakeen desert: the energy shields so favored by offworlders cannot be used there, because they draw an even stronger counterforce, the worm. When an idea is seen again and again in so many different forms, it begins to take on a life independent of any of them. It is no longer an abstraction but a reality. Above all, the layering of the many ideas within Dune succeeds because the ideas are seen as the shaping experiences of one man's life. They are not presented in a linear manner, as they have been here, but are woven into one great texture of plot, imagery, and character. When Paul utters his insights, the reader has witnessed the events that gave rise to the thought, and is prepared. The concepts have become an integral part of the world and everything that has happened there. A further aspect of Herbert's world-building technique becomes apparent after reading his 1958 story "Cease Fire," in which he treated a theme that was later to become important in Dune. In this story, a common soldier invents a new weapon that can detonate virtually any explosive from a safe distance. He is exultant; he thinks he has put an end to war. Experienced military men know better. He has not eliminated war, only changed its form. In the next war, which is bound to arise sooner or later, both sides will have the new superweapon. "So the next war will be fought with horse cavalry, swords, crossbows and lances… And there'll be other little improvements! … Elimination of explosives only makes espionage, poisons, poison gas, germ warfare—all of these—a necessity!" The nature of the device is different, but when this idea is taken up in Dune, the conclusion is the same. The "Field Process Shield" makes explosives and projectile weapons obsolete and interacts with lasers in a mutually destructive, near-atomic explosion. The result is, precisely, the reintroduction of personal combat, with sword, knife, and bare hands, as well as the use of treachery and poison as acceptable forms of warfare. The difference between "Cease Fire" and Dune shows something very basic about the way the novel is constructed. Herbert did not simply take the situation he wanted to present and paint it on a flat canvas. Instead, he described the generating cause of that situation and let the conclusions inevitably develop in the story itself. In "Cease Fire" Herbert was using the concept to make a point—that to prohibit the use of certain weapons is to attack the symptoms of warfare, not the cause. But in Dune the idea per se of a prohibitive weapon does not concern him, but rather the cultural consequences of such a weapon. The feudal social structures the shield has encouraged also demonstrate the rigidity and class-consciousness of the Empire. Hand-to-hand combat underlines Herbert's emphasis on self-reliance and personal skill. The knife fights between Paul and the Fremen Jamis and between Paul and Feyd-Rautha, the Harkonnen heir, both represent turning points in the novel, moments when the course of Paul's prescient vision is most powerfully at stake. Danger and possibility are most intimately connected in moments of physical struggle. It would have been easy enough for Herbert to slip such elements into the story without supporting them—medievalism has been a romantic affectation in science fiction ever since John Carter first drew a blade against the hideous green Tharks and Warhoons in Edgar Rice Burroughs's 1911 classic, A Princess of Mars—but why do so when one clearly conceived background detail can give meaning to the convention and justify the shape of an entire world? "It isn't the ideas that make the story," Herbert says, "it's what you do with them. Ideas are a dime a dozen. Development of ideas—that's where the diamonds are." Few science-fiction writers are so unsparing of ideas that they can resist outlining them in black and white; Herbert has so many points to include that those he cannot make overtly are introduced in the background. The layering of concepts in Dune does not provide an illusion of depth. It is real depth. In this depth, one also perceives Herbert's mastery of obscurity and shadow. Dune has been so often praised for its fullness of detail that it is easy to overlook the fascination of what has been left out. Certain ideas or scenes that were crucial at one point in the development of the story later dropped out, leaving mysterious signs in the way others are handled. Other significant pieces of background were left deliberately unfinished, to draw the reader's attention deeper into the story and to keep him involved long after it was over. What student of Dune has not puzzled over the exact life cycle of the sandworm, or the history of the Bene Gesserit? Herbert is endlessly willing to hint and not to explain. If as a result some ideas seem to hang unsupported, this only lends fire to the reader's conviction that he is exploring a real world, with mysteries that have defied even the author. "The stories that are remembered," says Herbert, "are the ones that strike sparks from your mind one way or another." He tries to strike sparks any way he can. Dune is loaded with symbols, puns, and hidden allusions. Though they may not all be consciously grasped by the reader, they lend weight to the story, a sense of unplumbed depths. For instance, as previously noted, one of the things about sand dunes that initially fascinated Herbert was the irresistible way they move. Although the connection is never explicitly stated, the image of the irresistible juggernaut is central to the book's treatment of the jihad. The dunes brood in the background. Each name, each foreign term, was also chosen with care, sometimes for the sound, sometimes for an association, sometimes just for Herbert's own amusement or that of the occasional scholar who will pick them up. Every nuance has purpose. The Fremen language is adapted from colloquial Arabic, often with significant meanings. Paul's younger sister, for example, bears the name Alia. She was a member of the Prophet Mohammed's family. The use of colloquial rather than classical Arabic is itself significant, since it is the spoken language that would have survived and evolved over the course of centuries into the Fremen. "Bene Gesserit," although it sounds as if it could be Arabic, is actually Latin. It means "it will have been well borne," an apt motto for the scheming Sisterhood. The name Atreides was also consciously chosen. It is the family name of Agamemnon. Says Herbert, "I wanted a sense of monumental aristocracy, but with tragedy hanging over them—and in our culture, Agamemnon personifies that." Likewise the name of their enemy, the Baron Vladimir Harkonnen, though in this case the associations are more contemporary. The Russian sound was clearly meant to engage our prejudices—which, it must be remembered, were much stronger when Dune was written in the early sixties than they are now. Any single one of these details may be unimportant in itself, but taken together, they cannot help have an effect. Herbert is trying to engage the unconscious as well as the conscious response of the reader. The use of colors, images, and viewpoint in a way that demands the reader's participation has already been noted, as has the evocative power of language. Another technique Herbert has adopted is to abstract wisdom from contemporary sources and place it in the mouths of his characters, so that the reader hears the insights of his own age reflected back at him out of the imagined future. Kierkegaard's "life is not a problem to be solved but a reality to be experienced" becomes a Bene Gesserit aphorism. Ecologist Paul B. Sears's statement, "the highest function of science is to give us an understanding of consequences" is expressed by Kynes as a fundamental ecological principle; and his "respect for truth comes close to being the basis for all morality" is recalled as a lesson Paul had received from his father. Such statements are used without acknowledgment, reflecting the supposition that truly profound thoughts may, over time, lose their authors and become a part of the wisdom of the race. Such borrowings give the distant flights of science fiction a foundation on the solidity of contemporary fact. A feeling of familiarity is thus attached to situations that are overtly strange. Herbert's use of rhythm further demonstrates his ideas about the unconscious. He is convinced that the sound of a passage is subconsciously reconstructed by the reader even though he reads silently, and furthermore, that it has a powerful unconscious effect. As a result, Herbert wrote many of the book's crucial passages as poetry—sonnets, haiku, and other forms, depending on the mood—and then concealed them in prose. On a larger scale, he very carefully controlled the pacing of the book to underscore the sexual nature of the jihad. It's a coital rhythm. Very slow pace, increasing all the way through. And when you get to the ending, I chopped it at a non-breaking point, so that the person reading skids out of the story, trailing bits of it with him. When you sit down to produce or reproduce an experience, you have [only] one view of it, and you may be successful in reproducing that view so it comes through, but if you've done your homework, other things that are not part of what you conceived also will happen. Knowing this, Herbert rides imagination like a worm called from the sands, a sure hand on the maker hooks holding in check, but never completely mastering, the demiurge of his desert world.